Fresh off the feel-good celebrations of the 50th anniversary of Singapore’s independence from Malaysia, the rulin g People’s Action Party (PAP) is moving up elections by more than a year to September 11 — just 17 days from now. It wasn’t exactly a surprise, and a sometimes-divided political opposition has spent the summer mobilizing to prepare for the vote. Prime minister Lee Hsien Loong is the son of Singapore’s longtime leader Lee Kuan Yew, who died at age 91 in March and is widely credited with Singapore’s transformation from a colonial-era trade hub (even 50 years ago, it wasn’t quite a sleepy backwater) into a major international financial center. Breakneck GDP growth in the last half of the 20th century, however, is slowing today, and critics argue that Lee Kuan Yew ran an authoritarian city-state with little freedom for speech, organization the press, political opposition or even, in many cases, individual expression. RELATED: Is Lee Kuan Yew’s role in Singapore’s rise overrated? As China’s economy sputters under the weight of a stock market crash, Singapore’s economy is already feeling the effects. Its GDP fell by an annualized 4% in the second quarter of 2015, and its annual GDP growth rate is now estimated to be between 2% and 2.5%, some of the weakest growth in the country’s post-independence history. 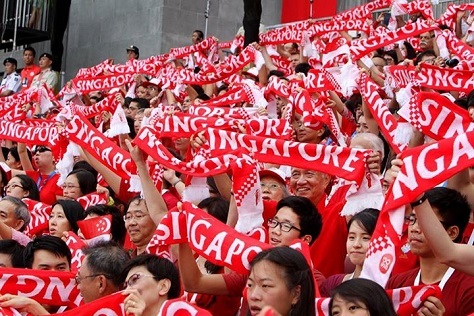 In the most recent election in May 2011, the PAP won just 60.14% of the vote, with the second-placed Workers’ Party of Singapore (WP) winning a mere 12.82%. Still, it was the worst showing for the PAP since it took power in 1959 — six years before independence, when Lee Kuan Yew enthusiastically embraced a role for Singapore within the Malaysian Federation. Estonia’s parliamentary election proves what is becoming a nearly iron-clad thesis about Baltic politics: so long as social democratic parties in the Baltic States nurture ties with Moscow and pitch themselves to the narrow pool of ethnic Russian voters, centrist and center-right governments will continue to win elections and govern. 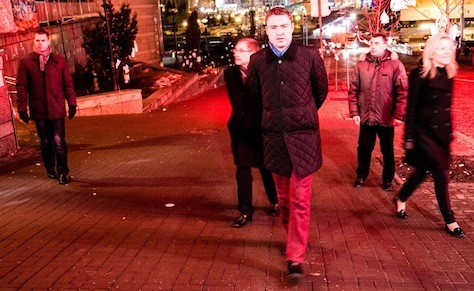 So it was in Estonia on March 1, as it became clear that the center-right Eesti Reformierakond (Estonian Reform Party) would win its third consecutive national election, the first under its 35-year-old prime minister Taavi Rõivas (pictured above in Ukraine last year), who is expected to continue leading Estonia’s government. 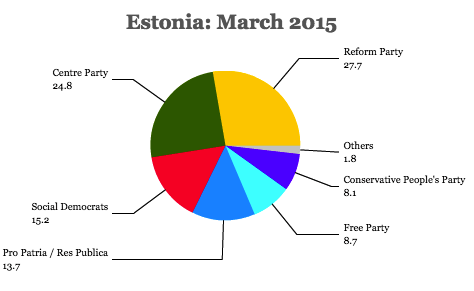 Despite polls that showed that the center-left Eesti Keskerakond (Estonian Centre Party), led by former prime minister and Tallinn mayor Edgar Savisaar might emerge as the leading party, Reform bested the Centre Party by nearly 3%. 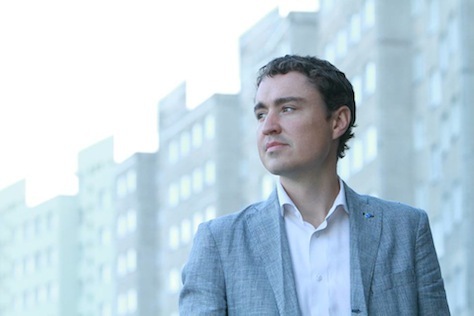 Nevertheless, both the Reform Party and its junior partner in government, the Sotsiaaldemokraatlik Erakond (Social Democratic Party), lost some ground — the two parties will, in aggregate, lose seven seats and six short of an absolute majority in the Riigikogu, Estonia’s 101-member unicameral parliament. 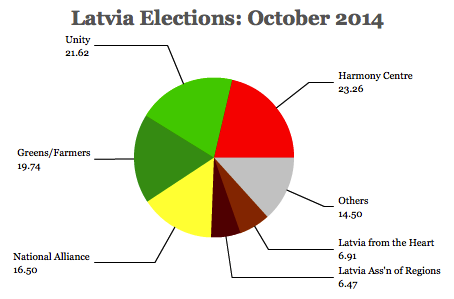 Basically, Latvia’s election turned out nearly as everyone imagined it would. Latvia has had a center-right government since its independence from the Soviet Union in 1991, and it will do so again. A coalition of center-right parties, led by prime minister Laimdota Straujuma, will continue to govern Latvia, continuing the country’s cautious approach to budget discipline. Straujuma, a former agriculture minister, known as a tough negotiator among EU Circles, has won her first electoral mandate since becoming prime minister in January, and she will hope that her country’s low debt and higher economic growth in the years ahead can result in lower unemployment. Even as Russia shakes its sable against NATO, rattling nerves in all three Baltic state, there’s reason to believe that the worst of Latvia’s difficult past half-decade is over. Though it endured a painful internal devaluation and a series of budget reforms over the last five years, Latvia entered the eurozone in January, and Straujuma’s predecessor, Valdis Dombrovsksis, who resigned late last year after the freak collapse of a supermarket roof near Riga, the capital, is set to become the European Commission’s next vice president for ‘the euro and social dialogue,’ making him one of the most important voices on setting EU economic and monetary policy over the next five years. The opposition Sociāldemokrātiskā Partija ‘Saskaņa’ (Social Democratic Party “Harmony,” which previously contested Latvian elections as the wider ‘Harmony Centre’ alliance), though it won the greatest number of seats in the Saeima, Latvia’s parliament, will be unlikely to find coalition partners in light of its role as the party of ethnic Russian interests and its cozy ties to Moscow and Russian president Vladimir Putin. Having lost seven seats from its pre-election total, the result will certainly be something of a setback for its leader, Riga mayor Nils Ušakovs, who had tried to emphasize the party’s social democratic nature, even as he offered sympathetic words with respect to Russia’s aggression in Ukraine. 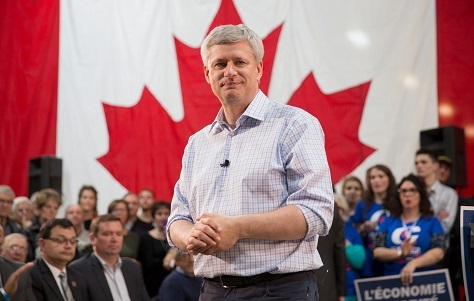 It follows a similarly poor showing in the May European parliamentary elections. Last week, when Estonia’s nine-year prime minister Andrus Ansip stepped down, virtually everyone thought that Estonia’s European commissioner Siim Kallas (himself, briefly, a former prime minister) would step into Ansip’s shoes as the Eesti Reformierakond (Estonian Reform Party) prepares to put itself on a stronger footing for expected March 2015 elections. After all, Kallas helped found the Reform Party in the mid-1990s, served as a highly regarded president of Estonia’s central bank in the early 1990s, and held several posts in government before leaving for Brussels in 2004, where he’s amassed plenty of additional experience — as a vice president of the European Commission since 2010. Instead, Kallas faced renewed controversy over $100 million in loan guarantees that he signed while central bank governor in 1994. Moreover, the concept that Kallas could wage a shadow campaign for prime minister while still officially a member of the European Commission ruffled feathers in both Tallinn and Brussels — even more so in light of open rumors that Kallas and Ansip would simply trade jobs, with Ansip stepping into Kallas’s shoes at the Commission. 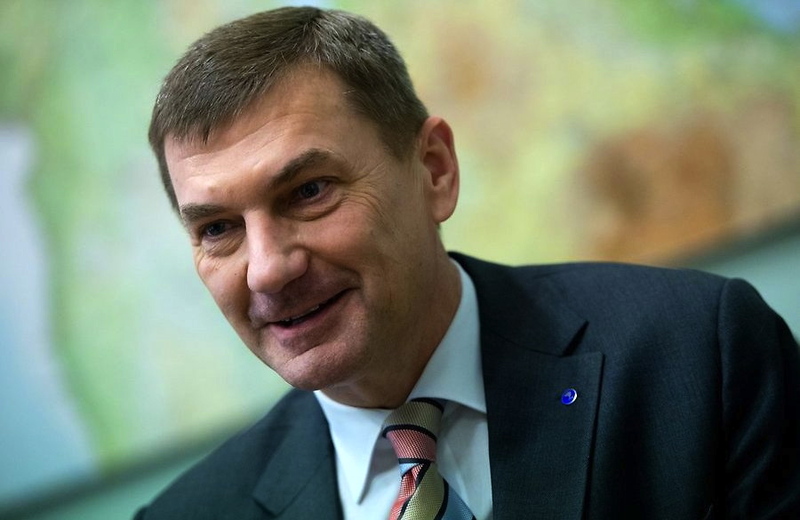 Earlier this week, Estonia’s prime minister Andrus Ansip stepped down after nine years leading the tiny Baltic country of just 1.3 million. His departure brings even more change to the Baltic states — Laimdota Straujuma became Latvia’s new prime minister in January following the resignation of Valdis Dombrovskis over the collapse of a supermarket roof near Riga, the Latvian capital, that killed 54 people. Ansip and Dombrovskis share a lot in common, both in terms of politics and the policy trajectories of their governments. Like Ansip, Dombrovskis stepped down having presided over difficult economic reforms that stabilized their country’s respective credit ratings and credibility with global debt markets and that helped unleash economic growth after the immediate downturn of the global economic crisis and the European debt crisis. Both prime ministers, uncharacteristically, won reelection in the middle of implementing some fairly hefty budget cuts (enough to lower Estonian public debt to just 5.7% of GDP as of 2012) — Ansip most recently in the March 2011 elections, when Reform actually gained two seats (for a total of 33) in the 101-member Riigikogu, the Estonian parliament. Ansip ushered his country into the eurozone in 2011, the first of the Baltic states to do so, and Dombrovskis’s government followed, with Latvia acceding to the eurozone on January 1 of this year. Who is Laimdota Straujuma? Latvia’s likely first female prime minister. On January 1, when Latvia celebrated its accession to the eurozone as the 18th member to embrace the single currency, it should have been a moment for Latvian prime minister Valdis Dombrovskis to celebrate shepherding his country into the core of Europe just barely two decades after its independence from the Soviet Union. Instead, Dombrovskis was counting the last days of his truncated tenure after the collapse of a supermarket roof in a suburb of Riga, the Latvian capital, killed 54 people. Dombrovskis, the 42-year-old wunderkind economist, resigned as prime minister shortly after the tragedy, calling for an independent commission to investigate the incident and arguing that Latvia needed a new government in the wake of the accident. Though it may have been an act of political integrity, Dombrovskis’s resignation came at a nadir for his shaky minority. His party, the center-right Vienotība (Unity), placed third in local elections in June 2013, and disapproval was running high for his government, a coalition that also includes the more stridently right-wing Nacionālā apvienība (National Alliance) and the center-right Reformu partija (Reform Party). 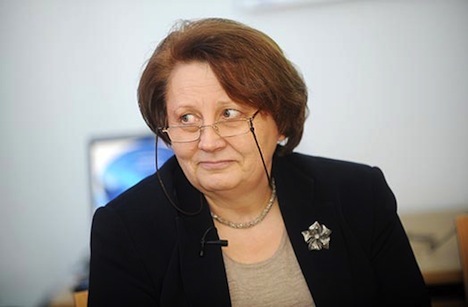 Unity’s decision to nominate Laimdota Straujuma, the current agriculture minister, as its designate for prime minister is designed in part to boost the party’s chances at winning elections expected in October of this year. That means that when Latvian president Andris Bērziņš formally nominated Straujuma as prime minister, it all but assured that she will command a majority to become the country’s first female prime minister. 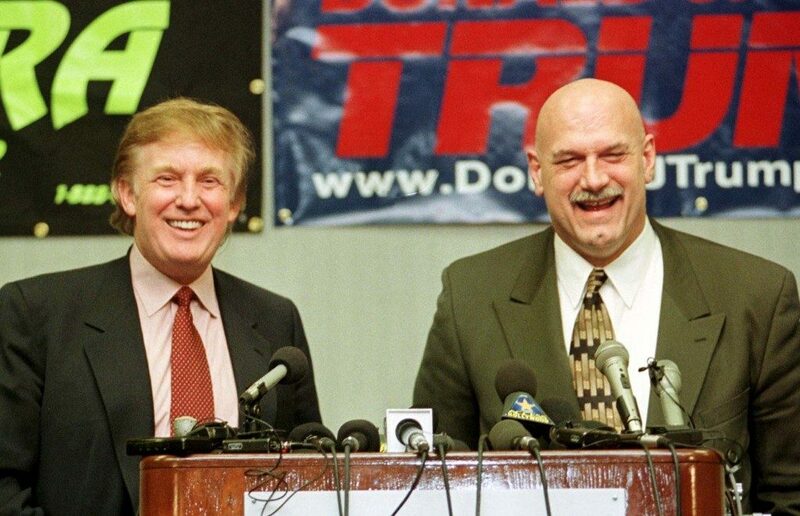 So who is Straujuma? And what challenges does she face in the months ahead? Dombrovskis came to power in 2009 facing a contraction that amounted to 18% of Latvia’s GDP, and he’s presided over Latvia’s resurgence. Latvia has achieved some of the highest GDP growth in Europe — 5.6% in 2012 and an estimated 4% in 2013. That growth has come even while Dombrovskis implemented budget cuts to bring Latvia’s debt to one of the lowest levels in all of Europe and forced upon Latvia a sharp internal devaluation — the kinds of wage cuts that have allowed Latvia to become more competitive. Even his push to join the eurozone was controversial, with nearly half the country opposing the move as recently as a month ago, notwithstanding the fact that the previous currency, the lats, was already tied to the euro. 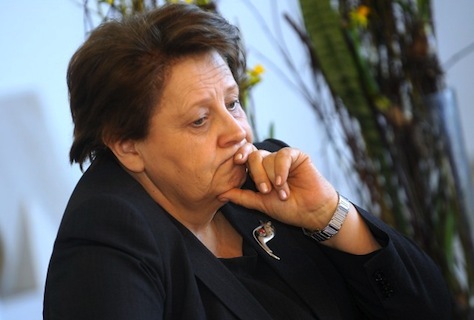 … the new government must not destroy the state budget for this year, [Straujuma] told reporters last night, reports LETA. 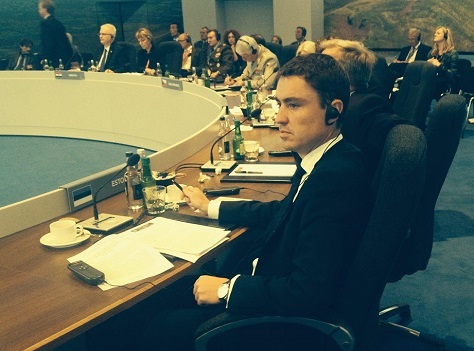 The next government will have to ensure stability, stressed Straujuma. One of the key priorities, that is “of major importance for businessmen and society”, is preparing a program on absorption of European Union funds for Latvia. The European Commission should approve the program by mid-2014 so absorption of the funds could begin in the second half of the year, emphasized Straujuma.